BEHOLD: CNN's Cutting-Edge Reporting Brings You ... Ice Cream? BEHOLD: CNN’s Cutting-Edge Reporting Brings You … Ice Cream? I scream, You scream, We all scream for — someone who actually report REAL news. CNN seems to have taken Trump’s ‘You Are Fake News’ statement as a challenge to lower their bar. The seem to be SEEKING out stories to prove JUST how fake their reporting can be. They breathlessly report on ANYTHING that could possibly put President Trump in a bad light. Even secondhand whispers about rumors are presented as though they were established fact. What was CNN’s leading story? Trump eating ice cream. Nope. We’re not even kidding. There’s that ‘most trusted name in news’ hard at work for you. Going into the field. Uncovering the REAL important stories. See how their story about Trump began. See how objective, dispassionate and professional it is. Meanwhile, Socialist ‘paradise’ Venezuela is sliding into the abyss. But seriously, let’s hear more vital reporting about how UNFAIR Trump is with his dessert, you lazy hacks. Even this SATIRICAL video about what’s happening in Venezuela is more informative and relevant to the news cycle than your Ice Cream story. How bad do things have to be when SATIRE is more newsworthy than the Networks? Bad enough that the President can call them out as fake news… and be right. 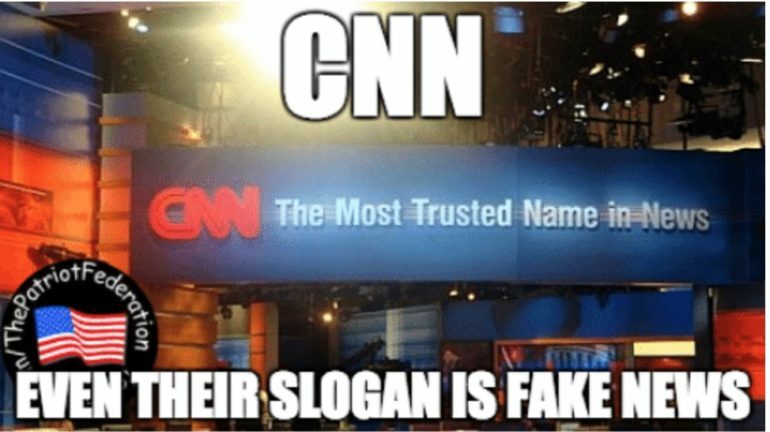 Share if CNN is among the WORST examples of ‘fake news’.